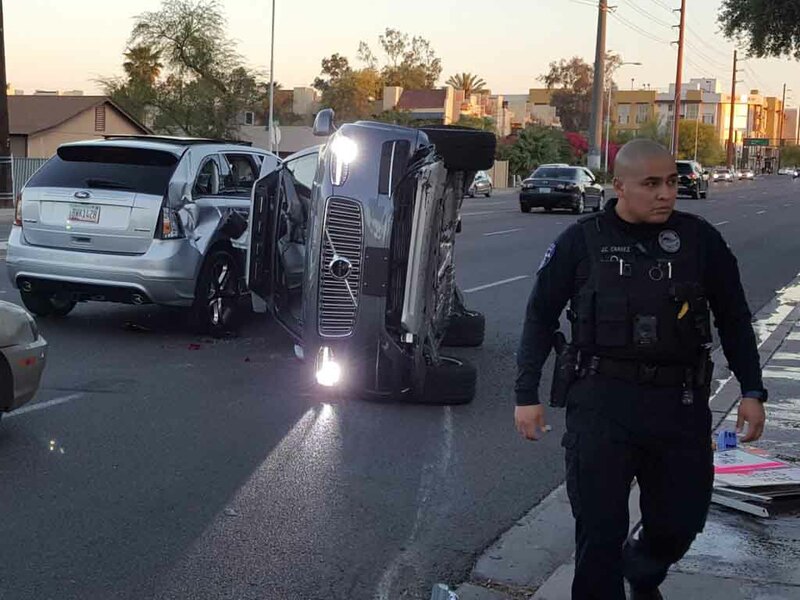 Uber Technologies Inc has brought its self-driving cars back on road after three days of the Arizona accident, which led the company to stop the program. The company has resumed its self-driving car program in Tempe and Pittsburgh, after cops confirmed that the accident was caused by human, not the car’s system. On Friday a self-driving Uber car was knocked onto its side after colliding by another car. Investigation has revealed that the self-driving Volvo XC90 SUV was obeying rule and the other car’s driver failed to apply brake in time, leading to the accident. However, despite the crash, no injuries were reported. Being one of the major ride-hailing companies in the world, Uber has been working on the development of self-driving car fleet for quite some time. The company operates around 100 XC90’s in Pittsburgh under its self-driving car fleet program since September last year. Meanwhile, after the service has been resumed, the self-driving Uber cars are picking up and dropping off passengers in both Tempe and Pittsburgh, but in San Francisco, they are only collecting mapping data, but offering no ride to passengers. Experts say that such crashes will happen with self-driving cars. But as the technology improves with trial and error method, the number of such incidents will reduce and safety will improve significantly. Interestingly, since September last year, this is the first time a self-driving Uber vehicle was involved in a crash. Interestingly, the image of the accident scene became a metaphor for the current situation of Uber, as the company is going through a series of troubles. One of the major one among those is the lawsuit from Waymo. Uber has been accused of stealing Waymo’s technology for self-driving cars.